How to Make Your Facebook Form Official — Embed It! There are so many ways that you can get your form out there for people to see. We can even create a Facebook post with a link to your form all there for you so you don’t have to do it yourself. Pretty nifty stuff, but what if you want to embed the form onto your Facebook page? You could try grabbing our embed code and chucking that in a post, but you’d soon find out that Facebook isn’t really cool with that and it won’t work. You have to take a different approach, which happens to be pretty easy to do. Let’s go through how to embed your form into your Facebook page. You can choose the page that you’d like to embed your form on and that will add the app to the specific page. We’ll come back to that in a jiffy. Almost there. All you have to do now is go to your Facebook page. Once you’re there, you’ll see an app that says Welcome. Now if you view your page, your form will be there ready to fill out. 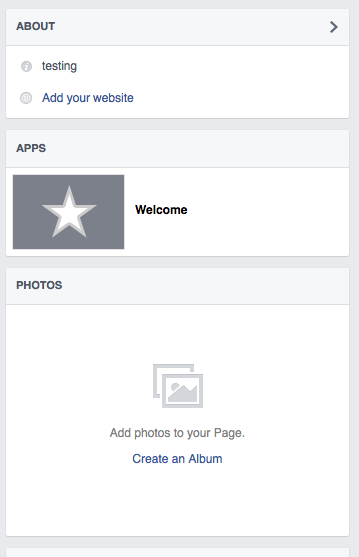 Pretty simple stuff that will allow you to embed your form directly into your Facebook page. Enjoy it and as always, let us know if you have questions below! Even more questions? Fear not. Check out our comprehensive Guides page—wisdom will be yours. Posted April 22nd, 2015 by jonas. The link doesn’t work. This is third time I have tried it. I cannot get anything to work with Facebook page. Posted April 22nd, 2015 by Michelle. Posted April 22nd, 2015 by Adam. Posted April 22nd, 2015 by Janine Lazur. Thanks for the guidance, i’ll give it a try myself soon. Posted April 22nd, 2015 by Leah. This looks soo cool! But the link isn’t working. 🙁 Is there any way to get that fixed? Posted April 22nd, 2015 by Cortney Loui. Worked great just as described. Wish I could change the text from Welcome though but I like having a form on my FB page. Thanks! Worked just fine for me. I had to use Chrome for the app install. wouldn’t install in IE or Firefox. Posted April 22nd, 2015 by j3p0. And FB lets you rename and re-order the tab. Now people still have to find it, and that may require some ingenuity. I’d like my form under a Call to Action, instead of Welcome. Possible? Posted April 22nd, 2015 by tj. Posted April 22nd, 2015 by Rob. Posted April 22nd, 2015 by Parisachougule1947@gmail Tippana Chougule.